If you have not studied the subjunctive in Spanish, don’t worry. All you do is switch the ending of the verb. If you have an –ar ending verb, you change it to an –er verb ending in the nosotros (we) form. If you have an –er or –ir ending verb, you switch the ending to an –ar verb ending in the nosotros form. First say, “We buy an ice-cream.” = Compramos un helado. Let’s buy an ice-cream. = Compremos un helado. Let’s write an email = Escribamos un correo. So now you see why in Little Mix’s song they are saying “Bailemos” (Let’s Dance). 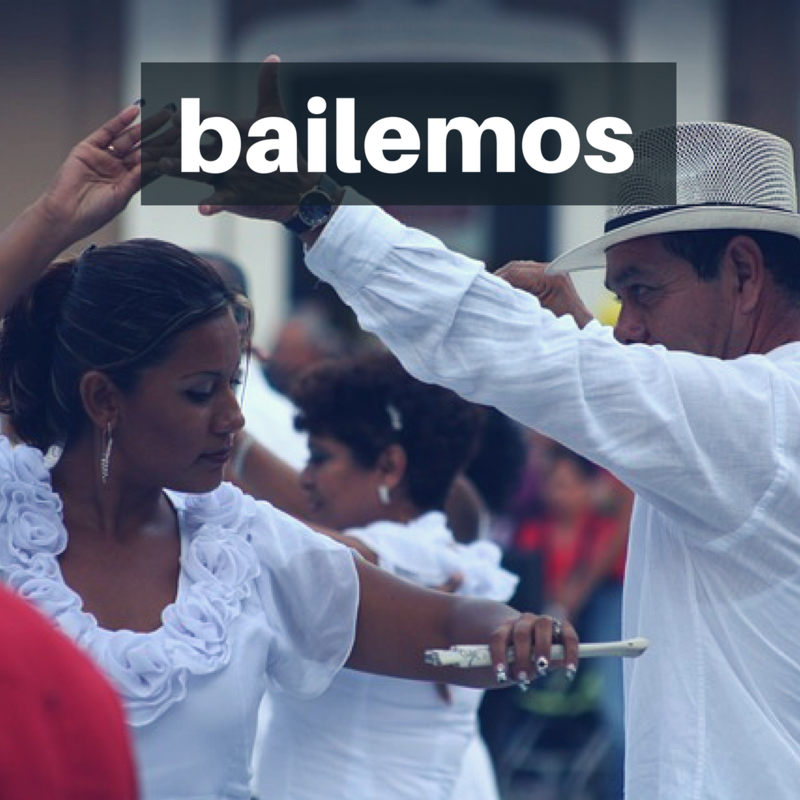 Another way of phrasing this, is just to say, “Vamos a bailar”. This can mean “We are going to dance” as in the immediate future tense, however it can also express “Let’s dance”. So you see there are several ways to say “Let’s …”.